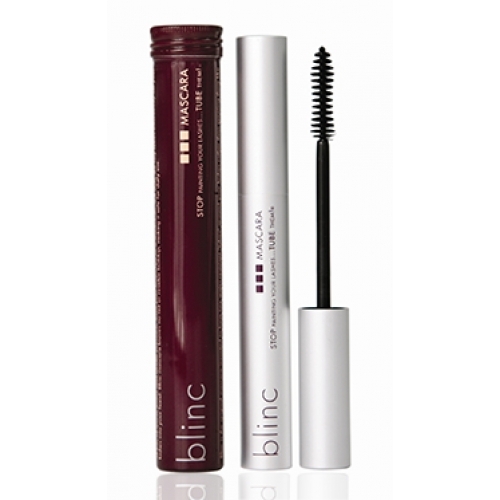 If you're looking for a no-hassle, no-smudge mascara that you can take throughout your day with no re-application, blinc mascara is your answer. Instead of painting your lashes like conventional mascaras, blinc mascara forms tiny no-smudge, water-resistant "tubes" around your lashes. Once applied, these mascara tubes bind to your lashes and cannot run, smudge, clump, or flake, even if you cry or rub your eyes. Whether your daily activities take you from the office, to your sweaty workout or out to dinner, your lashes will look as good in the evening as they did when you first applied blinc in the morning. blinc mascara will add volume and length to give you a radiant natural look that lasts all day. Only when you are ready for removal, the tubes will effortlessly slide off your lashes into your hand without the use of a harsh makeup remover.